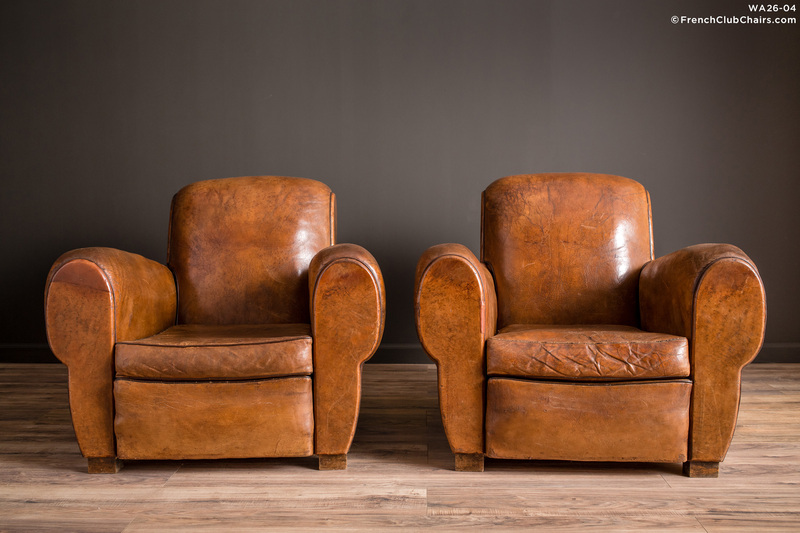 A big beautiful vintage pair of French club chairs. This Rollback pair we found in the Jura region of France famous for Comte wheels of cheese, striking caves and grottos. They feature all original leather in very good overall condition. They have a deep, comfortable medium feeling seat. The have a nice deep seat 23" and deep arms that invite you in for an afternoon read. measurements: depth-41", width-36", height-32", seat depth-23", seat width-18",seat height-15"